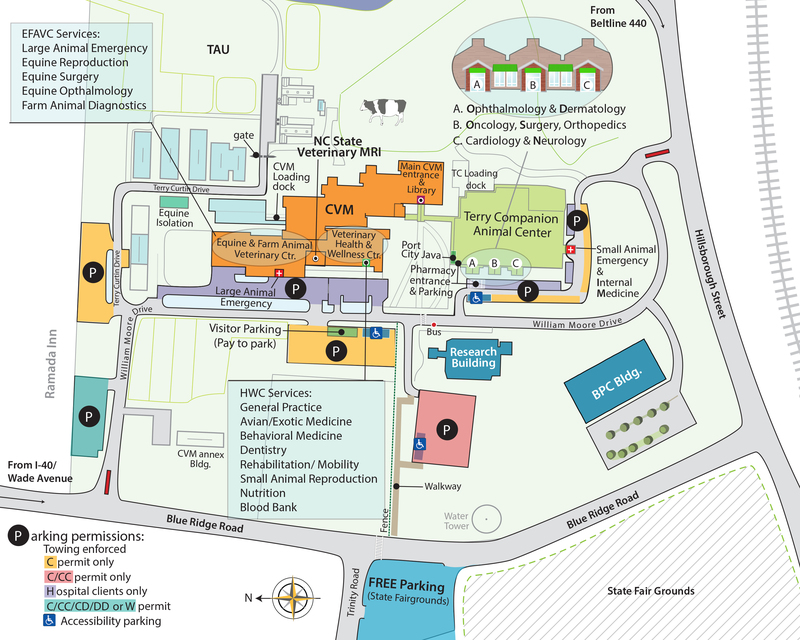 When a student starts at NCSU-CVM, he/she is assigned a faculty advisor. The advisor will be responsible for introducing that student to veterinary medicine, advising the student on selective/elective choices, signing the clinical competency book yearly and helping the student choose a focus area. Once the student chooses a focus area, the focus area advisor usually replaces the original advisor, but it can remain the same person. The advisor should know the student and serve as a school/career coach. Students should come to the advisor early with any problems, so help can be arranged. How often should students and advisors meet? The minimum will be once a semester, to go over the choice of electives, selectives, rotations and/or externships. The clinical competencies book must be signed and a back-up spreadsheet maintained by the advisor each year. The maximum is up to the advisor and the student. Students aiming for internships, residencies and graduate programs may need to meet more often. Advisors will schedule their first meeting in the fall semester with the student(s) during the first three weeks of classes. Thereafter, the student is responsible for arranging the meetings. Advisors will schedule their first meeting in the spring semester with the student(s) during the first three weeks of classes. Thereafter, the student is responsible for arranging the meetings. The advisor will be recorded in the student’s file. This recording will give the advisor access to the student’s academic records. This will enable the advisor to identify students in need of remedial action. Students should not wait until the advisor or the Office of Academic Affairs contacts them, but should seek help immediate if help is needed. The advisor is responsible for signing the student’s clinical competency book each year and ensuring that the student has completed their database entries in the on-line Competency Tracking System at the end of each academic year. In the 4th year, the advisor and student meet before December 15 (the date when Academic Affairs starts checking the database). If there are any items remaining to be signed off on the list, the student and the advisor should devise a plan to make sure that ALL skills are signed off by March 15. The actual book, with all the advisor signatures, must be handed in to the Academic Affairs office by March 15. A completed book is REQUIRED for graduation. The only approved external training program is the Banfield Program. Skills must be signed off by faculty or staff at NCSU unless the skill is starred in the book or it is performed during a Banfield training session. Complete the Request for Change of Advisor form located on the DVM Forms website. Obtain signatures from both your current and new advisor and submit completed form to the Student Services Office. If you have already declared your focus area you will need to obtain the signature of the focus area leader, as well. The default focus area is Mixed Animal Practice. Until a student declares otherwise, that is their focus area. Food Animal Scholars will be assigned to the Food Animal focus area. Laboratory Animal Scholars will be assigned to the Laboratory Animal Medicine focus area. Fisheries Aquatic Health Scholars will be assigned to the Zoological Medicine focus area. The student can officially declare a focus area as early as January 1, the first year. All students must declare a focus area by the Friday following spring break of their 2nd year. Please note that the Clinician Scientist Focus Area strongly encourages declaration during the first year in order to get in at least 1 summer research experience during the first 3 years. For students with substantial research experience, they may be allowed to declare the Clinician Scientist Focus as late as the end of the second year, based on the decision of the Focus Area coordinators. In order to have focus area priority for required electives in a given semester, the focus area must be declared by September 1 in the fall semester and January 15 in the spring semester. In order to officially declare the focus area, the student must submit the Declaration of Focus Area form to The Student Services Office, signed by both the faculty member chosen as advisor and by the focus area leader. The number of students that each faculty member can advise is limited. Each focus area has a number of advisors. It is the advisor’s decision as to how many advisees he/she can handle, with the minimum number being 2 advisees per year. What are the advantages and disadvantages of early declaration of a focus area? First, a little perspective. In the overall curriculum, approximately 75% of the material is taught in core courses and 25% is taught in electives, selectives, and elective clinical rotations. A student won’t miss key material by not declaring early. Early declaration of a focus area will allow the student to work with an advisor to develop an optimal plan to train the student for the particular focus area. The disadvantage of early declaration is that it may force a student in one direction and the student may later change direction after exposure to new opportunities. It would be better for a student without a strong focus to try several areas before deciding on a focus area. The system does allow a switch of focus area, but the process is a bit painful! The disadvantage of late declaration is that certain focus areas have enough requirements in the second and third years that it would be very difficult for a student to catch up. Students should look carefully at the requirements of the different focus areas to make sure that they have enough time left to complete the requirements. How do I find out what the focus areas are and what the requirements are? Go to Focus Area Page for the most up-to-date description of each focus area and it’s requirements. Core rotations that all students must take are radiology, clinical pathology, anesthesia, necropsy, one medicine course, one surgery course, one population medicine course, and one intensive care/emergency medicine course. Every focus area must have between 14-16 required blocks. Email the focus area leader. How does the focus area system work as far as prioritization in course selection? Students with a declared focus area get priority in the electives and clinical rotations required for the focus area (selectives can occasionally receive consideration). Students with a Clinician Scientist Focus are a little different. They have a custom program and get priority in the courses required by the program. The priority for 4th year rotations is that students for whom the rotation is required get priority, then all others. The Academic Affairs Office has a very sophisticated system for handling all these priorities. Students: please DON’T go to an instructor for an exception if there are too many people trying to get into a course with limited enrollment. DO let the class leaders know so that they can negotiate for additional spaces, if possible. If there is disagreement about a specific prioritization, the Academic Affairs Office handles it. If a student is planning on applying for an internship, he/she MUST list the key rotations needed to get recommendations as his/her first choices in the senior year block selection. Reference letters are due in December and the student needs to have taken the rotations by that time. Just being in a focus area does not give a student enough priority to get the needed blocks in time, if the blocks are listed as later choices. How does a student switch focus areas? Submit a Change of Focus Area Form signed by both the new and old advisors to Student Services kirk_nuss@ncsu.edu. The reasons for the change must be detailed on the form. The change must be approved by the Associate Dean of Academic Affairs. The last time a student can switch is September 1, third year. Students admitted under the Food Animal Scholars or Laboratory Animal Scholars program MAY NOT switch focus areas. There is a penalty for switching focus areas. Students who switch into a focus area will be given priority behind the other focus area students. This penalty will apply, no matter when the switch is made. The faculty members in a focus area, in conjunction with the focus area leader and department head, are responsible for creating the elective and selective courses. For rules on how selectives work, visit here. See Extramural Studies Page for forms and rules. Please remember that all extramural experiences must be approved by the advisor. Performance in the fourth year can be tracked using the 4th Year performance Graphs within CRESS.